Julie Andrews is a singer, actor, author, director, dancer, humanitarian, and public speaker. Julie Andrews is a woman of many talents. The actress is most known for her award winning performances in many American and British films and plays, but Andrews is also an accomplished singer, author, theatre director, television star, dancer, humanitarian, and public speaker. Julie Andrews is revered for her continuously graceful nature, as well as the humility and charm she exudes as a public figure. 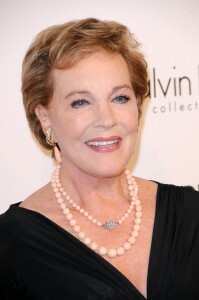 Some of Andrews’ most beloved performances include her leading role in Mary Poppins, her portrayal of Eliza Doolittle in My Fair Lady, and her role in The Sound of Music, the latter of which earned her both a Grammy and Golden Globe award, as well as a nomination for an Academy Award for best actress. 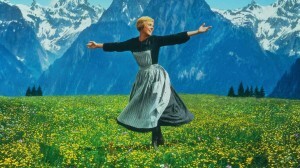 She also starred on the Julie Andrews Hour, for which she won multiple television honors and critical acclaim. Throughout her career, Andrews has been the recipient of Grammy Awards, Emmy Awards, and Academy Awards for her acting and singing, as well as a “Lifetime Achievement Award” from the Screen Actors Guild. Her most recent major American honor was in 2011, when she won not one but two Grammy Awards for “The Best Spoken Word Album for Children,” as well as another musical Lifetime Achievement Award. The breadth of Andrews’ accolades is a testament to her dedication to improving her craft over the years. One of Andrews’ most beloved roles: Fraulein Maria in The Sound of Music. In 1997, Andrews developed serious vocal problems, and after a necessary throat surgery, completely lost her iconic singing voice. Since then, the performer hasn’t slowed down, and still continues to write children’s books, direct, and perform on stage and in films. She has written over thirty books for children with one of her daughters, and is also known for Mandy, and The Last of the Really Great Whangdoodles, both beloved books for younger readers. She is also an active board member and co-founder of the humanitarian organization Operation USA, an international initiative to assist places affected by natural disasters and other endemics. Andrews has certainly lived by these ideals her entire career, which is what has made her such a beloved performer, role model, and icon.